Luther Dickinson has proven to be a prolific and formidable guitarist and singer through his solo work and his band North Mississippi All-Stars. He's also proving to be a consummate connector, effortlessly bringing musicians together to collaborate. 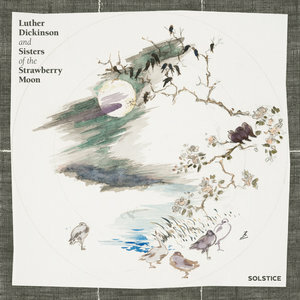 And some of those collaborations become official releases including 2012's The Wandering and his latest project, Sisters of the Strawberry Moon. Dickinson and a group of musicians, including Birds of Chicago, Amy Helm and more, recorded some material in 2016 at Dickinson's ranch over four days. Given such a small collaborative window, one might have forgiven Dickinson for moving on to something else. However, the results will be put forth on Solstice and Dickinson arranged a group to tour in support of record. He gathered Helm (drums and mandolin), Birds of Chicago's Allison Russell (banjo, clarinet), JT Nero (bass, guitar), and Drew Lindsay (piano) for a string of shows at City Winery locations. Before their penultimate show in New York City though, the group participated in Phil Lesh's 79th birthday celebration -- and soon found Lesh's son Grahame Lesh joining them for their remaining shows. Having another musician join in is completely in harmony with the band's ethos. As Nero described in New York City on March 19th, the group possesses a "righteous, loose and family style. [Those are the] principles this band is based on" (Dickinson felt similarly in PopMatters' interview). The loose style was readily demonstrated as the musicians alternated instruments and vocal duties and didn't stick to Solstice material, throwing in a new song and many covers. Essentially, this was the first time I was hearing many of the Solstice songs, so it was wonderful to watch the band interact and hear the mix of material. There were delicate songs like "Til It's Gone" and more lively tunes like a cover of the Band's "Atlantic City" (one of the highlights of the evening). They also performed Derek Trucks' "Chevrolet" and invited out Valerie June to sing. June appeared stunned watching Dickinson and Russell play on either side of her. The audience was equally enthralled. Though no additional shows have been announced, Dickinson hinted that this wouldn't be their only tour. 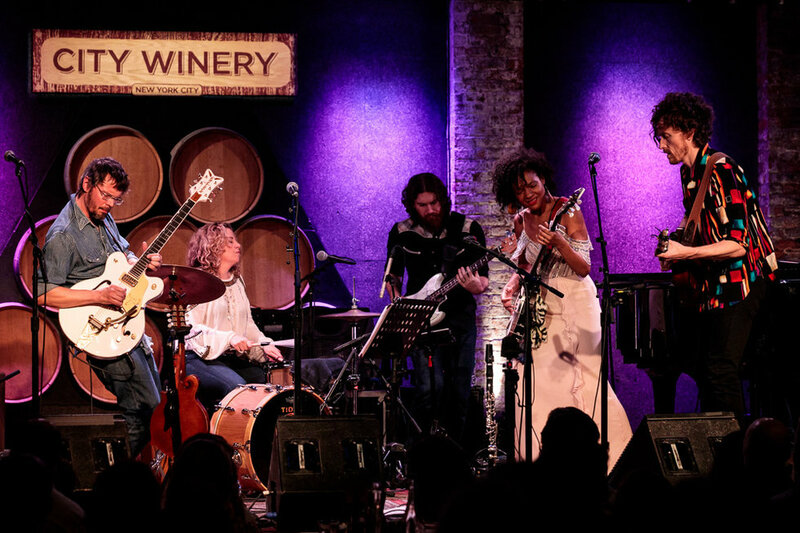 So if you missed out on this run and you can't wait for future shows, check out photos and video from City Winery NYC below and listen to the audio of their final show in D.C. on Live Music Archive.